A man is due in court today over two raids at a Rotherham post office in just over 24 hours. 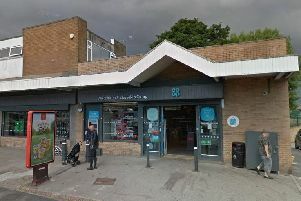 Thomas Whaley, aged 36, of no fixed abode, is accused of robberies at T.C’s Min Mart, which contains Catcliffe Post Office, at 4.45pm on Tuesday and 6.15pm on Wednesday. In the first raid at the Brinsworth Road store, Catcliffe, cash and cigarettes were stolen. A broken glass bottle was used to threaten a member of staff. The following evening demands for cash and cigarettes were made and shop owner, Terry Fieldhouse, 52, was struck over his head with a bottle. Whaley has been charged with two robberies, wounding, threatening with an offensive weapon and possession of a knife. He is due at Sheffield Magistrates’ Court this morning.